The Bastion and Thieves’ Pot, the 16th century jail located within Thistles, Stirling has reopened following a number of improvements and restoration. The significance of The Bastion and Thieves’ Pot in the history of local crime and punishment is now detailed in great effect as part of the restoration which has been overseen by David Kinnaird, writer and performer of The Stirling GhostWalk and Artistic Director of the Stirling Old Town Jail. 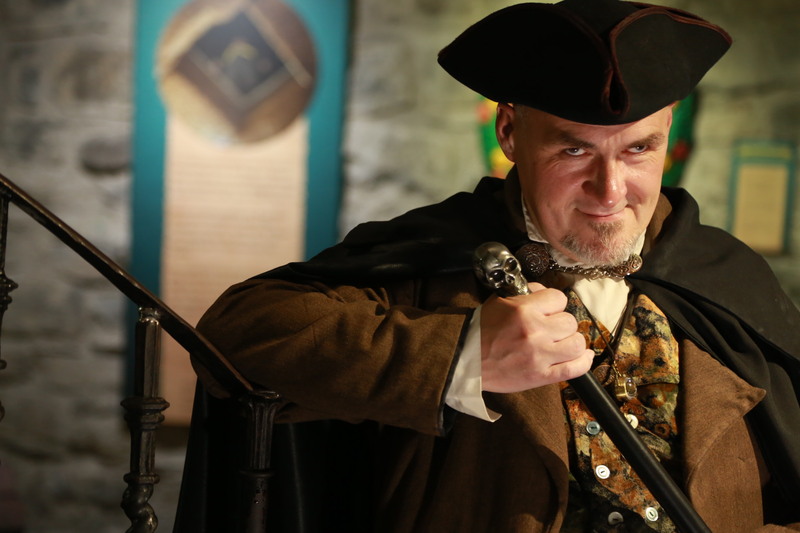 David has a reputation for interpreting the darker aspects of local history in an entertaining and accessible manner. The wall displays have been redesigned and updated, with text by David and graphics by Ziv Shanmugam. A new audio commentary has also been added, mixed by Barry Frame of The Audio Clinic. Monday – Friday 9am – 5.30pm and until 8pm on a Thursday. Saturday is 9am – 6pm and Sunday 10am – 5pm. Entrance to The Bastion and Thieves’ Pot can be found next to WHSmith and The Post Office, just inside the Port Street entrance Thistles.